SAN MATEO, Calif., Aug. 28, 2018 -- Marketo, Inc., the leading provider of marketing engagement, automation, and attribution software, today announced the continued expansion of its leadership team with the appointment of Mika Yamamoto as Global President. As the former Chief Digital Marketing Officer (CDMO) for SAP, Yamamoto brings 20 plus years of enterprise marketing experience to Marketo, and will focus on delivering a world-class, end-to-end experience for Marketo's rapidly growing base of nearly 5,000 global customers, while continuing to advance the planning, engagement, and measurement capabilities of the world's most powerful platform for marketers. 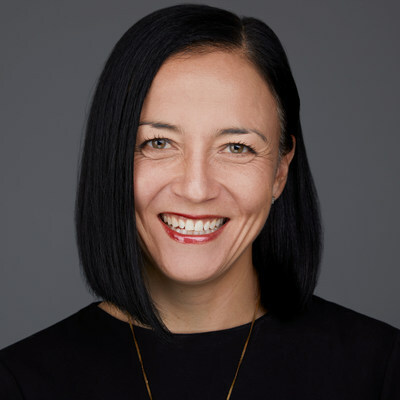 "I am thrilled to welcome Mika, and I am confident that her experience as a CMO, knowledge of the marketing technology industry, and her 'customers first' focus will accelerate Marketo's ability to care more for our customers and usher in a new era of growth for our company," said Steve Lucas, chief executive officer, Marketo. "Beyond an array of experience serving Fortune 1000 giants, and an incredible knowledge base in consumer experience and modern digital marketing, Mika has the unique perspective of a technology-first marketing executive and bold thought leader. This combination makes her an ideal fit for Marketo and the thousands of marketers we serve. I look forward to the new wave of innovation we will deliver with Mika as part of our team." Prior to joining Marketo, Yamamoto was the first to hold the role of CDMO at SAP, driving their digital transformation by leading the strategy and execution of SAP's demand generation, marketing tools and technology, and field marketing disciplines. She also served as CMO of SAP's small and midsize business unit. Before joining SAP, Yamamoto launched the first brick-and-mortar Amazon Books store in her role as head of marketing and merchandising at Amazon, in addition to spending more than six years at Microsoft in a variety of channel and product management roles, including the design and launch of the initial physical Microsoft Stores. The foundation of her data-driven approach was firmly established during her tenure as research vice president at Gartner where she analyzed and forecasted trends in the tech market. This broad array of experience in marketing technology, brand development, customer experience design, research, strategic planning and execution at scale, as well as her dedication to building strong diversity and inclusion programs, bring an arsenal of valuable capabilities to Marketo. "I am beyond excited to join Steve and the exceptional team at Marketo to lead the company through its next phase of growth as we scale to become a one-billion-dollar company. We will do this by continuing to innovate to help companies deliver meaningful, personalized connections with their customers, ultimately enabling marketers to deliver substantial shareholder value," said Yamamoto. "I look forward to supporting and serving Marketo, our customers, and the broader Marketing Nation community."